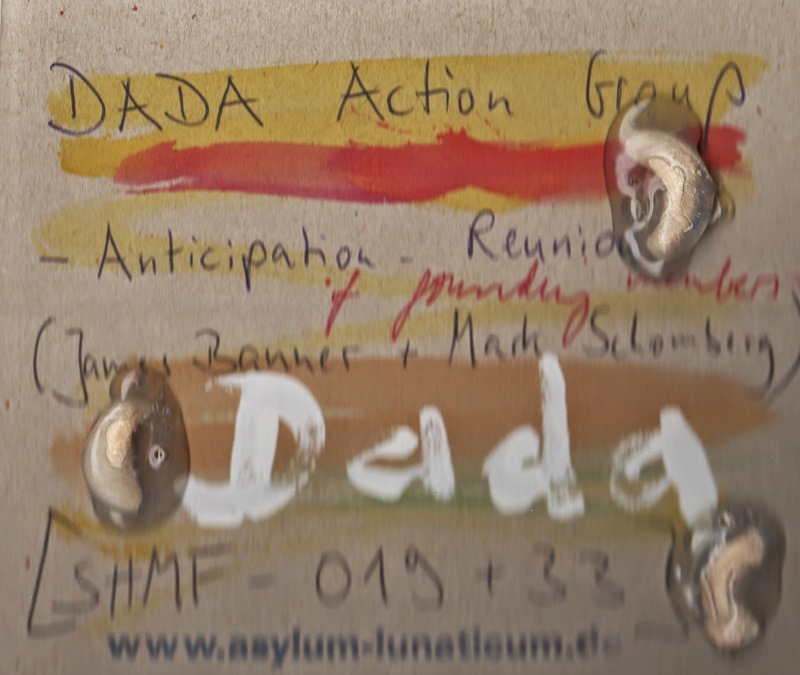 Dada Action Group has a loose membership, the only constant of which seems to be Mark Schomberg of Yeast Culture, though it also sometimes includes Rudolv Eb.er of Runzelstirn & Gurgelstock and others. 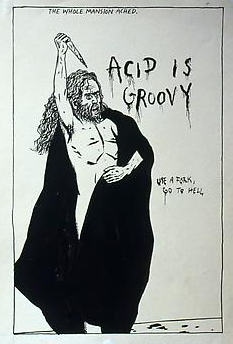 This CDR was made using source material supplied by Kommissar Hjuler & Mama Bar, and (barely) released in a numbered edition of 9 copies on Hjuler's SHMF label. Yes, those are three peanuts glued to the front cover. I have no idea why, but you probably shouldn't eat them. Now this is the kick up the arse that I needed! I have a ridiculous amount of these small edition releases ...but didn't have this one!